‘Calçot’ season is now well underway. The spring onion-like vegetable is one of Catalonia’s most traditional winter delicacies, especially in the south, around the city of Valls. 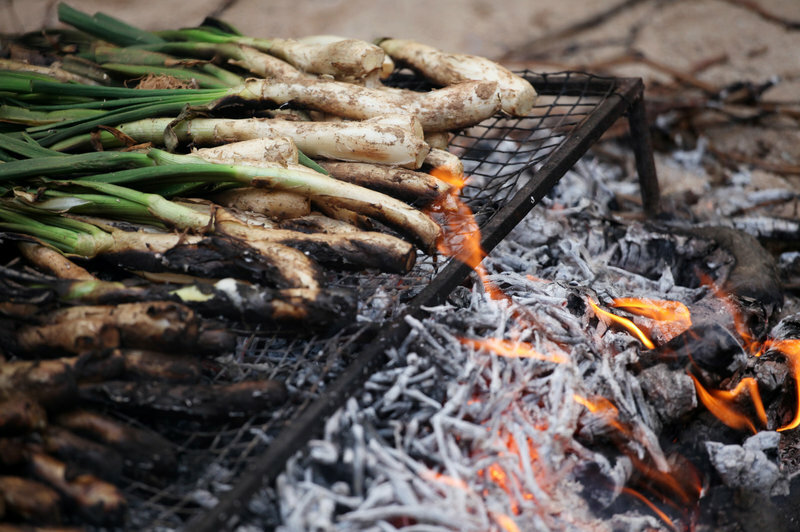 Calçots resemble scallions and are roasted on an open fire until their outer skins are charred. The trick to eating calçots is using your hands, peeling off the blackened outer layers to expose the tender white insides, dipping them into an almond sauce known as romesco and lowering them into your open mouth. Thousands of people travel to Valls in busloads every year to stuff themselves with the onion-like treats. However, calçots have become so popular all over the country that the demand has boosted supply, leading to optimistic sales estimates from wholesalers. Vendors in the Mercabarna wholesale market recently said they expect to sell more than 15 million calçots this year. If the forecast is accurate, that would mean a record year for calçot sales, 10% higher than last year, when 14.2 million units were sold, itself a record figure for the previous 10 years. Of all calçot sales, the wholesalers estimate that between 25% and 30% are purchased by restaurants, with up to 15% exported. Patrick Mateu, from Maleubre Cano, said recently that markets in England, mainly in London, as well as in France and Belgium are increasingly buying calçots, most of which end up in specialised food shops. Yet, a word of warning. Wherever you get your calçots this year, don’t forget to wear a bib, so you don’t stain your clothes!